After moving to Western North Carolina in 2007, Anthony got a job at a now-closed gym that happened to have a climbing wall. Intrigued with climbing, he began hiking to different outdoor climbing areas in a quest to learn everything he could about the sport. As with many beginning climbers, Anthony made lots of decisions that he now is just happy didn’t have bigger consequences. 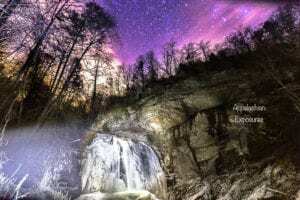 It was a chance encounter with AMGA Certified Rock Guide Ron Funderburke, who was working as a Guide at Fox Mountain Guides at the time, that not only changed HOW Anthony climbed but also shaped his career. What first began as a mentor relationship with Ron resulted in Anthony pursuing professional climbing training through the AMGA and ultimately getting a job as an Instructor at FMG. Given the rapid progression of Anthony’s climbing, it should really come as no surprise that once he ticked off many of North Carolina’s most difficult rock routes, including a rare free ascent of Warrior’s Way (regarded as one of the hardest multi-pitch routes in the State), he would move on to new challenges. Though he only climbed a couple seasons of ice, Anthony picked up the discipline as quickly as his other endeavors and set his set his sights on a potential ice route with the cache of some of his hard rock sends. That climb was Linville Falls. Record low temperatures over a number of days made the never-climbed falls shape up enough that Anthony decided to give it a go. 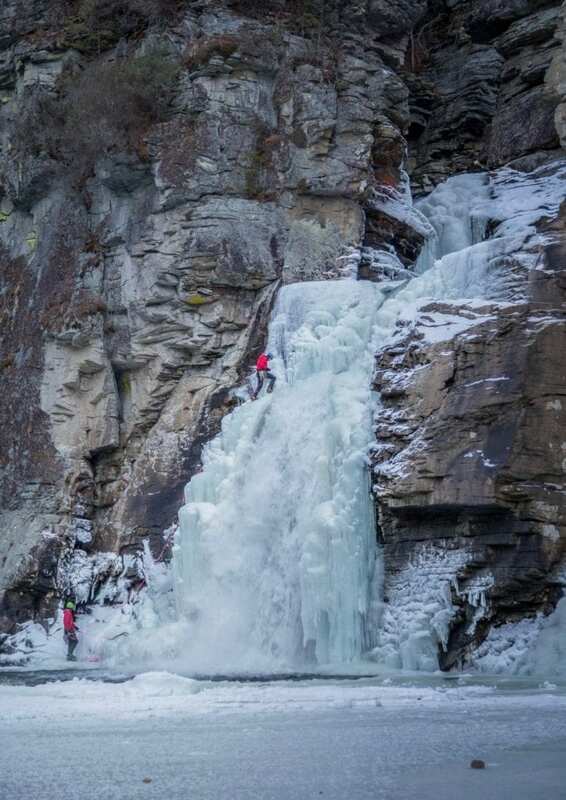 With his wife Tina and brother-in-law/photographer Peter in tow, he and partner Kyle Harris crossed the partially frozen Linville River to arrive at the base of the falls. Though the center of the falls was still flowing powerfully, the left side looked solid enough that Anthony felt confident he could lead it. The pair first built an anchor to secure themselves at the bottom. Anthony then delicately made his way to the top of the formation and built another anchor and brought Kyle up. From there, Kyle led them out via a crack in the rock to the left of the falls. The rest is first ascent history. **Fox Mountain Guides only allows guides, regardless of their experience, to guide ice if they have completed the American Mountain Guides Association Ice Instructor Course, which is the standard for professional ice climbing training. Amazing! I ice climbed with Ron…hope you have a certified guide soon. Hey Mike, We do have several instructors who have completed the ice course and who can therefore guide ice for us. In fact, Karsten is actually a full Alpine Guide. We can’t wait to include anthony in that group!